The following policies apply to the NCEMSF Website and all of its features. This policy may be changed or updated from time to time. How does NCEMSF use your data? NCEMSF uses its best efforts to respect the privacy of its online visitors. At our Website, we do not collect personally identifiable information from individuals unless they provide it to us voluntarily and knowingly. This means we do not require you to register or provide information to us in order to view the majority of our Website. When you sign up for a free personal Web account, we will use your personal information to provide you with access to certain areas of our Website. The details we collect from you when you sign up for a free personal Web account may include (but are not limited to) your name, addresses, email addresses, phone numbers, academic/industry affiliation, EMS certification level, campus EMS alumnus status, and demographic details. When your organization signs up for a free institutional Web account, we will use your group's information to provide you with access to certain areas of our Website. The details we collect from you when your organization signs up for a free institutional Web account may include (but are not limited to) group name, addresses, email addresses, phone numbers, and demographic details. When you become a personal member of NCEMSF, we will use your personal information to process your membership application and provide you with your membership information and benefits. The details we collect from you when you become a member may include (but are not limited to) your name, addresses, email addresses, phone numbers, academic/industry affiliation, EMS certification level, campus EMS alumnus status, demographic details, and payment details. When your organization becomes an institutional member of NCEMSF, we will use your group's information to process the membership application and provide you with your membership information and benefits. The details we collect from you when your organization becomes an institutional member may include (but are not limited to) group name, addresses, email addresses, phone numbers, demographic details, and payment details. To complete your membership application or renewal, we may share a subset of your personal information with a payment processor. We need to process your personal information in this way to register you as a member and provide the ongoing membership services and benefits to you. When you register to attend one of our events, such as our annual national conference, details we collect from you when you may include (but are not limited to) your name, addresses, email addresses, phone numbers, academic/industry affiliation, EMS certification level, campus EMS alumnus status, demographic details, and payment details. If you are already a member (or have previously been a member) and register for an event, we will use the membership details we already have on file for you to confirm your booking. You may update those details at any time. To complete your event registration, we may share a subset of your personal information with a payment processor and the facility hosting the event. We need to use your personal information in this way to complete the booking process. Contact information for campus EMS organizations represented at an event may be provided to event exhibitors and speakers upon their request. We do this because our exhibitors and speakers have a legitimate interest in building relationships with the campus EMS community. Using our SMS-based attendance tracking system at an NCEMSF event may involve a third-party message processor. Limited information (e.g., your mobile phone number and the attendance information you provide) will be provided to that third-party. In handling these requests, we may also reveal your name and the speaker / topic of the session you are attending to the third party. When you contact us, we may also handle your personal information (your name, contact details and the other details you provide to us) in order to provide the customer services you have requested (e.g., questions you may have with regard to membership, payments, and other service-related inquiries). We rely on your consent to handle your personal information in this way. If you do not provide us with the personal information we request from you for customer services purposes, we may not be able to fully answer your queries. This section applies if you have opted in to receive communications from us, or have previously expressed an interest in the Foundation and not opted out. After you sign up for one of our events, create a free Web account, or become a member of NCEMSF, we will provide you with email updates. Every email we send to you for this purpose will also contain instructions on how to unsubscribe from receiving them. You can tell us that you do not want a specific campaign of emails by following the included unsubscribe link. You may also tell us that you do not want any emails from NCEMSF by contacting us at membership@ncemsf.org. If the Foundation or the majority of its assets are acquired by somebody else, in which case the personal information held by the Foundation will be transferred to the buyer. We use IP addresses to analyze trends, administer the site, and gather broad demographic information for aggregate use. We may share aggregated demographic information with our sponsors and partners. This is not linked to any personal information that can identify any individual person. We use Google Analytics demographics and interest reporting features on our Websites. These tools allow us to review anonymous data regarding the gender, age, and interests of website visitors and adapt our website content to better reflect their needs. Although this information is collected through your Google Ad settings, it is not provided to us in a personally-identifiable format. This means we cannot identify information about you, and we will not attempt to circumvent that. You may opt-out of Google Analytics for Display Advertising and customize Google Display Network ads using the Google Ad settings or through the Google Analytics opt-in browser add-on. This Website contains links to other sites. Please be aware that NCEMSF is not responsible for the privacy practices of such other sites. We encourage our users to be aware when they leave our site and to read the privacy statements of each and every Website that collects personally identifiable information. This privacy statement applies solely to information collected by the NCEMSF Website. You can prevent the setting of cookies by adjusting the settings on your browser (see your browser Help for how to do this). Be aware that disabling cookies will affect the functionality of this and many other websites that you visit. Disabling cookies will usually result in also disabling certain functionality and features of this site. Therefore, it is not recommended that you do disable cookies. In some circumstances, we may anonymize your personal data (so that it can no longer be associated with you) for research, product development or improvement, or statistical purposes, in which case we may use this information indefinitely without further notice to you. You have various rights under the data protection laws, which you can exercise by contacting us. Please contact our data protection team at dataprotection@ncemsf.org. Alternatively, you may mail us at the address found at the top of this policy document. If you exercise your right under data protection laws, your request may be subject to a fee, if we are permitted to charge a fee. We will let you know at the time you make your request whether there is a fee. You have the right to lodge a complaint with the relevant supervisory authority for data protection issues in your territory. You have the right to require us to rectify any inaccurate personal information we hold about you. You also have the right to have incomplete personal information we hold about you completed, by accessing your Web profile and updating the information contained within it. Alternatively, you may provide a supplementary statement to us by emailing dataprotection@ncemsf.org. where we are handling your personal information because we have a legitimate interest (as described in the “How does NCEMSF use my data?” section above), and are in the process of objecting to this use of your personal information. You have the right to receive your personal information in a structured, common;y-used, machine-readable format and to send this to another organization controlling your personal information. This right only applies to your personal information we are handling because you consented to us using it. Keep in mind that erasure of your data from our systems will remove our ability to provide key services to you. For example, we retain your historical conference workshop attendance information for the purpose of generating a continuing education report. In deleting your data, we will no longer be able to assist you in such activities. 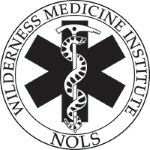 "Reprinted by permission of the National Collegiate Emergency Medical Services Foundation (www.ncemsf.org)"
Any other use of material from this Website without the expressed consent of NCEMSF is prohibited. Contact secretary@ncemsf.org for additional information. Information in our database of campus EMS organizations has been provided by representatives of the schools listed. As such, NCEMSF tries to maintain as updated information as possible but does not take responsibility for its overall accuracy. Contact the individual schools listed for more information on their current programs and organization. The information contained within this Website is not intended as medical advice. Contact your group's medical director before modifying any protocol, standard operating procedure, or treatment guideline for your service.